Biometric door access control units attach to the network and measure a person’s unique physiological characteristics. Fingerprints, finger veins, palms, retinas, irises, faces and voice are examples of some of the biometrics that are read. Biometrics provides far better security than RFID card credentials. It is better than cards or pin numbers because you are identifying a person rather than something the person is carrying. Many of the readers available Have multiple access keys. They can read biometrics as well as RFID cards and pin numbers. Take a look at the biometric readers available. FIngerprint readers detect the raised pattern on your finger. These fingerprint IP readers actually encode the pattern that they detect into key data points. These minutiae points reduce the total amount of data stored. Since the information is encoded the data can’t be used to reconstruct the actual fingerprint. We have readers that just read fingerprints, and some that are multi-biometric and read both fingerprints and finger vein patterns, and those that read fingerprints and do facial recognition. These multi-modal readers increase reliability, yet don’t cost much more than conventional fingerprint readers. The latest facial recognition systems are self-contained units that attach directly to the network. These IP Facial readers are very easy to install. Facial recognition readers connect to the network and identify a person’s face from a template that has previously been recorded. These integrated units contain all the intelligence, allowing enrollment as well as door control. The Finger vein reader captures an image of the vein patterns which exist beneath the surface of the finger. In this case the vascular pattern is detected using a near-infrared LED. The system detects the hemoglobin in the blood stream, providing a distinct pattern. Multimodal readers read a number of different biometrics. For example they can read both fingerprint and / or finger vein, or fingerprint plus facial recognition. The FST biometric door access control system dramatically increases identification accuracy by adding full body motion analytics to facial recognition. It quickly identifies authorized people as they approach the door. It gradually learns more about the person’s body motion becoming more accurate as time goes on. This sophisticated identification system is the latest in biometric recognition. Identifying people is one of the best ways to control access to your facility. You are granting access to the person rather than a RFID credential card they carry. The FST intelligent recognition system not only authenticates a person, it can also be used to monitor and control guests. 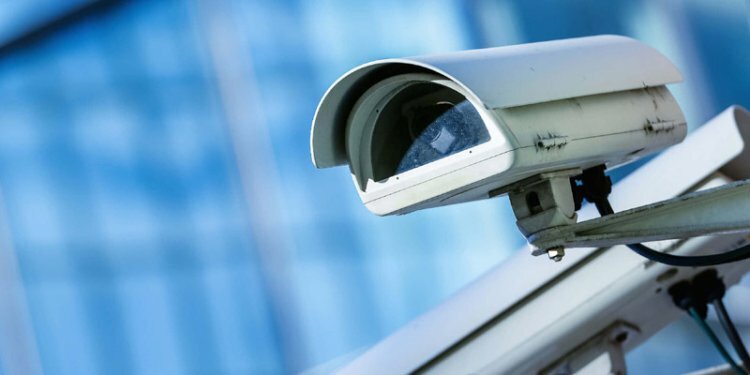 By adding optional voice recognition and IP security camera systems you can dramatically increase your security and safety. The management console software runs on a Windows computer and allows you to control your access points, receive alerts, control the system in real time and manage the systems database. A single station can manage hundreds of doors and buildings, and aggregate the databases to provide redundancy and advanced management of authorizations on a single or multiple sites. Here are some of the things you can do with this access control management software. From any remote computer station you can control view and control various aspects of the system. The administrator of the system can control various system behavior, and provide database management. The FST access control system includes a full visitor management system that allows you to grant access to people who are not registered in the system. The system takes advantage of smart phone technology using the QR-code display as the control credential. The IMID Visit Access software module creates and sends a virtual personal and encrypted key called V-Key™ directly to the visitor’s qr-code examplesmartphone. The V-Key™ is a special qr-code that can be created from your standard calendar or from an app on your smartphone. You simply create a meeting invite, set the security access level from a list of options, and email it to your visitor. When your visitor arrives, they need to display the V-Key™ on their smartphone to the camera. The system will detect the V-Key™, identify the guest, and only then access is allowed based on the security level you set. The host will be notified that the visitor has arrived; and the visit will be logged into the system, including host information and a picture of the visitor’s face from the actual entry time. Biometric security systems can be complex because they include many different components that have to work together. Kintronics is a resource for engineering and integration of all your security projects. We can design your complete system so don’t hesitate to contact us for assistance.